Super Smash Bros returns this year with Super Smash Bros. Ultimate for Nintendo Switch. It’s the largest entry yet, toting an overflowing roster featuring every Smash Bros. fighter in series history. There are new characters too, meaning there are more fighters to choose from than ever. And with all that choice can come a little bit of stress when choosing the character for you. Do you go with a slow-moving hulking behemoth, or a more spritely and energetic one. To help you out, we’re working on character guides for every fighter in Super Smash Bros. Ultimate, from Mario to Wii Fit Trainer. In this guide we’ll be focusing on Pichu, the baby pokemon first introduced way back in gen 2 of the series. 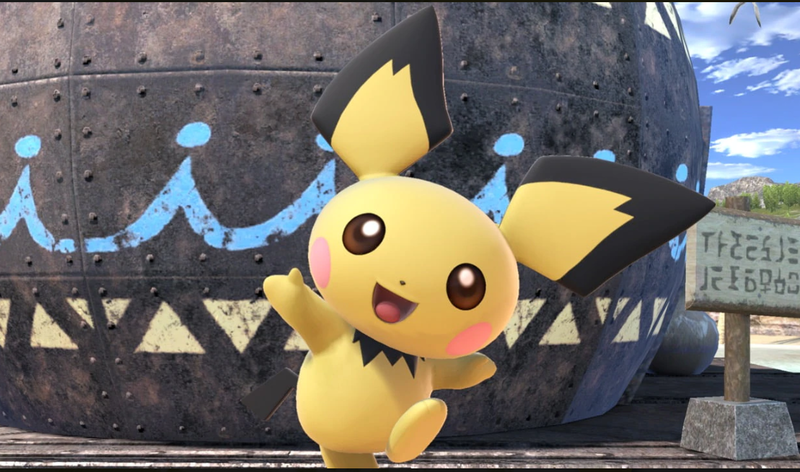 In this Super Smash Bros Ultimate Pichu Guide, we’ll be highlighting the changes that Pichu has gone through since their last appearance. We’ll also be taking a look at Pichu’s Final Smash and alternate costumes as well. Pichu isn’t exactly the most popular of fighters in Super Smash Bros. Ultimate, but if you know what you’re doing you can do some serious damage. In the guide below, we’ll go over some of the moveset changes that have been implemented in Super Smash Bros. Ultimate for Pichu. We’ll take a look at Pichu’s Final Smash, and also take a look at the alternate costumes that you can equip. Pichu might be the smaller counterparty of Pikachu, but he’s still a force to be reckoned with. In the table below, you can find a complete moves list for Pichu in Super Smash Bros. Ultimate. There are different animations for forward tilt, arena entrance, grabbing, and Thunder. Pichu’s appearance has been altered slightly since Super Smash Bros. Melee, now matching its appearance in more modern Pokemon games. Pichu has a new Final Smash called Volt Tackle. It is similar to Pikachu’s, and causes recoil damage. Several moves like Down Smash, Forward Tilt, Back Aerial, all have electric effect. Grabs can be triggered from further away. New facial animations make Pichu much more emotive. 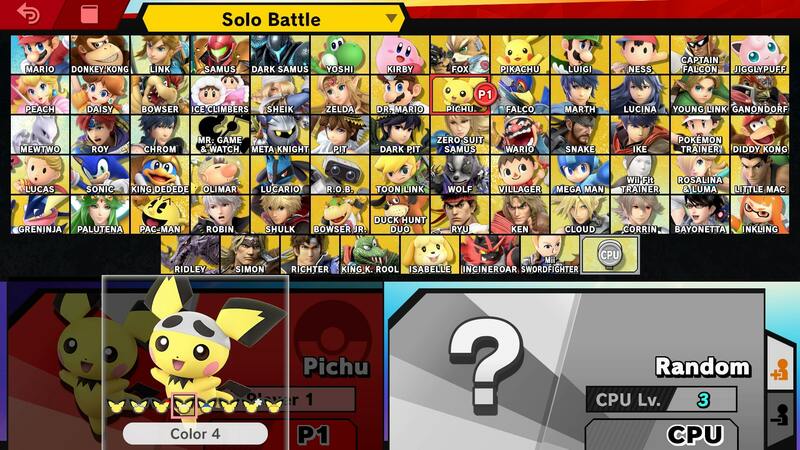 Pichu comes packed with all of the alternate costumes it sported in Melee, but with a new addition as well. We’ve shown the new look below, which features Pichu wearing a Focus Band on its head. The new costume was shown off during the latest Nintendo Direct while the new Spirits system was outlined We’ll have more screens of Pichu’s alternate costumes in Super Smash Bros Ultimate when we get our hands on the full game. As mentioned previously, Pichu has a new Final Smash this time around. It’s called Volt Tackle, and sees Pichu darting around the screen flinging balls of electricity around. 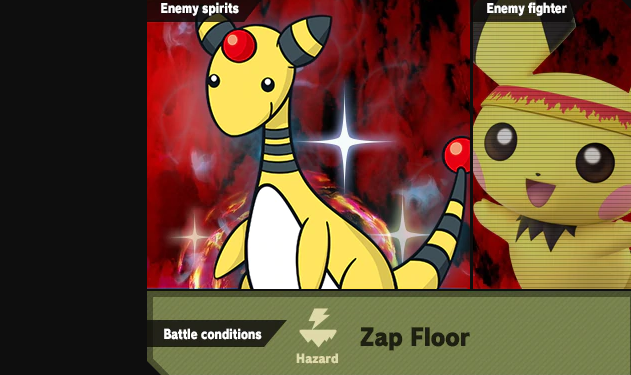 It’s very similar to Pikachu’s, launching enemies into the air with a blast of energy at the end. It looks set to be a very powerful move indeed, and Pichu fans will no doubt be excited to finally have a Final Smash to play around with. That’s everything we know about Pichu in Super Smash Bros Ultimate. We’ll be adding more info as we get it, but in the meantime you can head over to our Super Smash Bros Ultimate Guides Hub for more info on the game.